Lower back pain is one of the most common health complaints worldwide. Approximately 31 million Americans are struggling with this issue at any given time. In some cases, the pain can worsen and become chronic. This condition can have a variety of cases, from poor posture to arthritis and injuries. Sometimes, it results from a bulging disc. Also known as a disc protrusion, bulging discs typically occur in the lower back between vertebrae L5 and S1 or L4 and L5. Their symptoms vary from one individual to another. Some people may experience no symptoms at all, while others report excruciating pain. Bulging disc treatment involves medications, physiotherapy, massage, or spinal manipulation. In severe cases, surgery is the only option. Before discussing these options, let’s see what a bulging disc is in the first place. 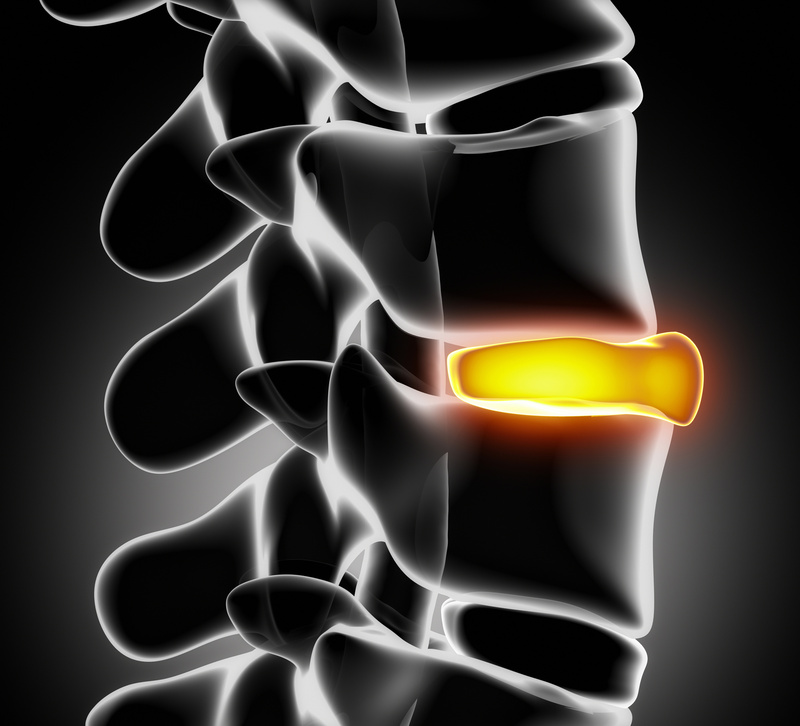 Spinal discs are cartilaginous joints that hold the vertebrae of your spine together. Their role is to absorb shock and allow movement at each spinal level. The spine has a total of 23 discs. These anatomical structures are subject to wear and tear. At birth, about 80 percent of their content is water. As we age, our discs dehydrate and their cartilage becomes stiff, which may cause them to bulge out. Sometimes, it takes just one wrong move to develop a bulging disc. That’s why people who participate in contact sports, as well as those whose jobs involve prolonged standing, driving, and repetitive lifting, are at higher risk. Common mistakes, such as slouching in your chair and sitting with poor posture, can affect your discs too. This problem is more common in middle-aged individuals. However, anyone can develop a bulging disc. Cigarette smoking, weight gain, and too much sitting can all increase your risk. Unless your condition is severe, you may able to treat a bulging disc with rest and physiotherapy. Pain relievers and anti-inflammatory drugs can help. Bulging disc treatment options depend largely on your symptoms. Doctors often recommend acupuncture, electrotherapy, ice packs, or soft tissue massage for minor and moderately bulging disc injuries. You might also want to consider chiropractic treatment. Another option is stem cell disc regeneration. This procedure stimulates the formation of new disc cells, which helps restore and rebuild damaged discs. Patients experience a reduction in pain and discomfort – and improved quality of life. Surgery is only recommended in severe cases. If your back pain doesn’t settle with a conservative approach, this may your only option. Let’s take a look at the best ways to treat a bulging disc and what to expect. A bulging disc can place extra pressure on the muscles and nerves around it, causing pain. Medications only provide temporary relief. Plus, they fail to address the root cause of your problem. Physiotherapy has emerged as a safe, effective way to treat bulging discs. Certain techniques, such as electrical stimulation, ultrasound therapy, traction, joint mobilization, and soft tissue massage, can relieve pain and improve your range of motion. Electrical stimulation, for instance, helps reduce muscle spasms. Joint mobilization can increase your flexibility and normalize joint function. Your physiotherapist may also recommend stretching and strengthening exercises that reduce back pain and improve your posture. He will create a workout plan that can be safely done at home with little or no equipment. The end goal is to improve your body mechanics and restore your mobility. Furthermore, a physical therapist can show you how to exercise safely and what movements to avoid. The wrong kind of exercises can worsen your symptoms. Leg lifts, sit-ups, overhead weightlifting, and running are just a few to mention. In general, it’s recommended to avoid high-impact workouts, heavy lifting, and contact sports. Steer clear of any movements that involve repetitive forward-bending at the waist. Instead, opt for low-impact aerobic activities and stretching. Unless you have excruciating pain, ice and heat therapy can help. Ice packs reduce inflammation and swelling around the compressed spinal nerve. All you need to do is to apply ice on the affected areas for about 10 minutes; repeat several times a day. Heat therapy may relieve muscle spasms and ease your pain. It also helps increase oxygen and blood flow to your tissues, leading to faster healing. Depending on your symptoms, you may alternate ice and heat. However, be aware that heat isn’t effective against inflammation; in this case, it’s better to use ice. This quick, minimally invasive procedure may offer complete relief from back pain and other symptoms associated with bulging discs. In clinical trials, it has been shown to slow or stop the degenerative process and increase disc hydration. As its name suggests, stem cell disc regeneration aims to restore damaged discs to their normal, healthy state. It has been proven effective in the treatment of bulging discs, herniated discs, degenerative disc disease, and other similar conditions. As you see, there are various options for bulging disc treatment. Choosing one over another depends on your symptoms and the severity of your condition. The sooner you receive treatment, the better. Early intervention can lower your risk of developing complications. You deserve a pain-free life. Don’t wait until it’s too late. Book an appointment and find out how we can help!